Tile adds a level of functionality and design that most other products cannot deliver. Tiles are durable, attractive and can vastly improve the look of your home. The look and feel of new tiles is exhilarating; however, that feeling quickly fades as tiles become chipped, cracked, dirty and dingy. Occasional scrubbing may keep it tolerable for a while but to restore that “new tile” feeling, professional tile cleaning services are essential. Properly cleaning dirty tiles is no easy task. By Professional Tile Cleaning Services hiring professional tile cleaning services, you don’t have to stress getting those tiles sparkly clean. 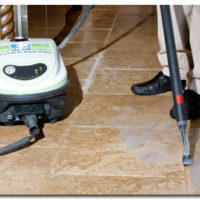 Through proven methods, these services will get your tiles looking clean and spotless again. Professional cleaners can handle all tile and grout cleaning problems and provide a level of clean that is nearly impossible to deliver through your own scrubbing. Professional tile and grout cleaning services can restore the confidence and pride you had in your tile just like the day you first had it installed. The Grout Medic brings your tile back to its original beauty through grout and tile cleaning, grout staining, changing the color of your grout, or tile replacement. Contact us today for a free evaluation at 1-866-994-7688 or contact the Grout Medic in your area.